More and more people are deciding to plan for a funeral well in advance of that need. With this in mind, David Robb Funeral Directors has joined Golden Charter Funeral Plans to help people have these plans in place. These plans are safeguarded by independent trustees to ensure that all requirements are met at the time of need. 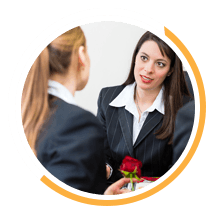 Each client is very special and will be given the same help, time and consideration as any person arranging a funeral at the time of need. All plans are tailored to suit individual requirements, and our staff will happily talk you through all the options available. 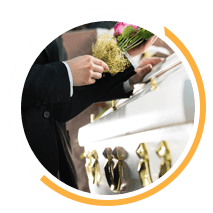 Testimonials are curated by David Robb Independent Funeral Director and are not independently reviewed or verified. 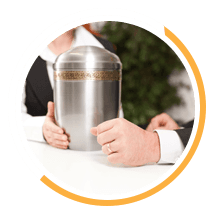 "David was very helpful in every aspect of the funeral planning for our loved one Eileen McGarvey. He made sure she got the send off she deserved. Our family are very happy with everything he assisted us with. Thank You David"
"Outstanding service from the minute we walked through the door. David was very professional but personal at the same time and nothing was a problem. My Dad got the best send off we could have imagined. Thank you David and Team x"
"David & his staff have been brilliant im so glad he was recommended to us had planned on getting a few quotes but after meeting with them the others dont come close to his service. As me & my brother had never done anything like this before he guided us through effortlessly & same as most reviews i have read he truly went above & beyond for our family. Thankyou"